In some ways I despise New Year resolutions. It always makes me think of the queue of fat girls pouring into the gym, never to be seen again three weeks later. In other ways I think it is a good habit to develop – as something that should be done four times a year, in order to reflect and refresh how you have reached your aims. 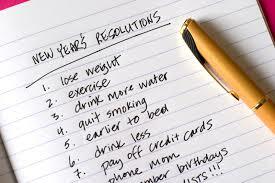 The problem with New Year’s resolutions, is that many people feel it is a new year, therefore a new start and make vague, dull targets and don’t set any other goals for the rest of the year. If they planned them properly, where more specific and realistic, had an end game and set plans on what to do next they would achieve much more. It presents the same trap, so the typical cliché goals always end up the same way – just another big failure in your life. If you seem to have the same ideas every New Year perhaps it is time to sit back, reflect and write down what caused you to quit. There are a number of ways to make a plan for self-improvement. One of my favourites is SMART objectives. I learnt about SMART objectives at University when doing a business degree, this was used in the context of a strategic business plan. But the principles of SMART can be applied to any self-improvement or life goals. Specific – this means to set a specific goal. For example if you want to ‘Get fit’ you need to be more specific what you mean – is it lose weight, run a 10k, look good? Being that vague may mean that five months down the line you may not remember quite what you were aiming for. Measurable – this means making your goal have a measure. How will you know when you get there? With ‘Get fit’ it may be being able to run a further distance in a certain amount of time or dropping a number of pounds on a scale. Other methods could be evidence of your success such as certification or positive feedback. Achievable – this target is whether your goal is possible to be achieved. If I say ‘I want to go out with Scarlett Johansson’, this is not achievable as I am not based in LA. Besides even if I was creepy enough to move to meet an actress I never met, I don’t have the money, looks or high status to achieve this. However if I say ‘I want to meet a woman this year, between the ages of 24 – 30 ‘, this is is achievable as there are a number of available woman in my area, I am of a similiar social status, age, and if that fails I can drug them so that I am an acceptable standard. Realistic – this means making your goal realistic, perhaps you want to learn how to sail. Then an achievable goal may be to ‘Learn how to sail a yacht without any supervision’. Saying ‘I want to sail in the Americas Cup’ is not an achievable goal, unless you have many years of sailing experience. Time-based – having a goal without a time limit to it, probably increases the chance to failure, as it is probably likely you will leave it for another day. If you want to lose x amount of weight before a friends wedding because you want to bang one of the bridesmaids, you are probably going to put more effort so that you reach your target before the deadline. Write down all this and keep it somewhere safe, if you want leave it pinned on a notice board so you can remind yourself everyday (that is unless banging a bridesmaid is a legit target – don’t want to give the game away). Set a date when you want to review how your doing, depending on your success make the relevant changes – rinse, repeat.. When you do achieve what you want, don’t let it stagnate, see how you can develop on this – so for losing weight, could easily move onto ‘get a beach body’. And to show that I practice what I preach here is a goal I made in September – to pass my driving test. I want to pick up on my driving lessons so that I can pass my driving test and drive on my own. I firstly need to pass my theory test and find a driving instructor. I will need a certificate to say I have passed my theory test in order to proceed. 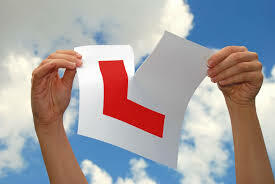 For my end goal I will have a practical driving test certificate and receive a pink driving licence in the post. I will have a certificate to say that I have passed my test and a pink driving licence. I am of a legal age to learn to drive, I have no ban on driving and I have the time and money to invest into achieving this goal. I also have access to learn materials to pass my theory test. I have previously had driving lessons, therefore it is quite realistic for me to pass my test in the time I have set. As I have previously studied and passed the theory test, passing again is not a major task. I want to pass my test before christmas. I estimate that I would need to spend at least 15 hours learning to drive to pass my practical test and need to spend 15 minutes a day reading theory books to pass my theory test. I need to pass my theory test in August while looking for a suitable driving instructor and have started my practical lessons by the beginning of September. By planning this way, I set clear objectives of what I wanted to do. My first task was passing my theory test as there was no point progressing to the next step until I did this. Being clear what I wanted to achieve, I felt obliged to read for my theory test early on so that it did not hold up the rest of my plan. I passed the theory test and moved onto the next step. In the end I passed my test at the beginning of November – this gave me time to reassess my driving goals, I decided to focus on getting experience driving on the motorway. I can now drive without being supervised and I can use the motorway. In order to improve my driving further I have decided a big road trip with friends is the next priority. Somewhere down the line I will buy my own car, I have developed a SMART objective of how I will afford this. What if it hadn’t worked out? If things hadn’t turned out, say I failed my theory test and was unable to progress back to the practical learning, I would have gone over my SMART objectives, to see what I could change – such as adding more time to my reading. I would then alter the dates to reflect on this. SMART objectives are good because they are a structured way of making any resolutions and much more likely to achieve your target than a hollow statement. 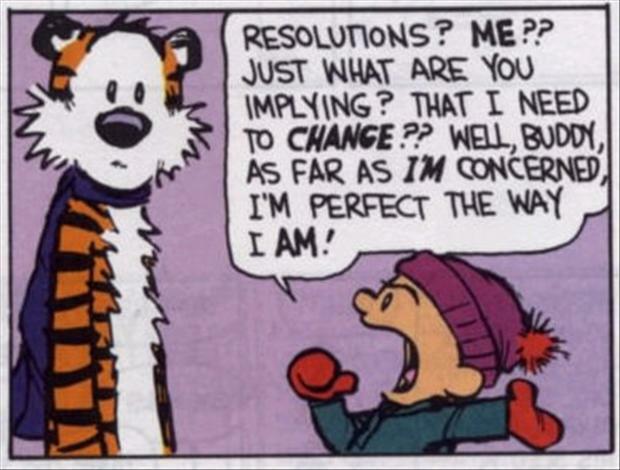 So look at your resolutions and make a proper plan of it.